Recently, Square released a new service called Square Market. Known for its convenient card reader you simply plug into your smart device, Square is now tackling e-commerce for small and mobile businesses. Creating an online store typically takes a lot of money and time; Square hopes to make this service accessible and practical for both retailers and customers. What is Square Market exactly? Square Market is an online marketplace for businesses to essentially launch their own online stores with access to more customers. The high rollers you may have heard of in this department are Amazon, Ebay, and Etsy. Square Market is for anything that can be shipped, be it apparel, beauty products, crafts, household goodies, or anything without a timely expiration date. Because Square Market is free to use, charging nothing to set up, the service alleviates the stress on your time--and wallet. You’re able to list items, add photos, and create a distinctive profile for your business. Rather than spending a fortune for web development and maintenance for your own shop, you only pay 2.75% for each item sold. Additionally, founder of Square and creator of Twitter, Jack Dorsey, has implemented Twitter into Square Market, allowing you to tweet your products directly. Having a huge following on Twitter can pay off for your online store if purchasing something is only 140 characters away. And even if you do not have a following the size of Ashton Kutcher’s, the Square Market is one way to gain a larger customer base just by the sheer convenience of online ordering. 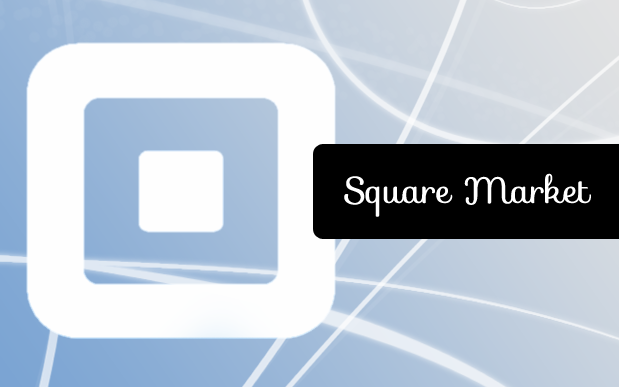 Square Market released in late June, so there may be some tweaks to be made to the overall interface, but it could be a solid solution for businesses tight on funds that also want to expand to an online market. It’s free, aside from the 2.75% processing fee per item sold, and integrates with Twitter, which may open up possibilities to integrate with other social media bases. Either way, it’s a viable e-commerce option small businesses should explore now if they are seeking growth and, maybe more importantly, relevance. Share any thoughts below on this new Square service or the online store you use, or tweet us (@Shopventory)!